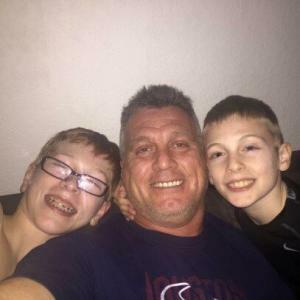 Pizza owner, Jim Dickey has been a strong supporter of Mercy Flight’s nonprofit mission for more than a decade after the lifesaving helicopter organization saved his childhood friend. “He was involved in a car accident coming home from Sunset Beach, so if it wasn’t for Mercy Flight, he wouldn’t have made it,” Jim says. Jim’s dear friend, Brian (pictured below) grew up to serve our country as a Marine. Jim also remembers the Mercy Flight chopper growing up in his rural hometown. When there was an accident at the end of his street, the men and women in orange responded. Pesci’s is one of Buffalo’s best, serving up hot, delicious pies throughout the Western New York region. The pizza that benefits Mercy Flight is called “The Leo Getz Special” and for each one sold, $2 is donated to Mercy Flight. 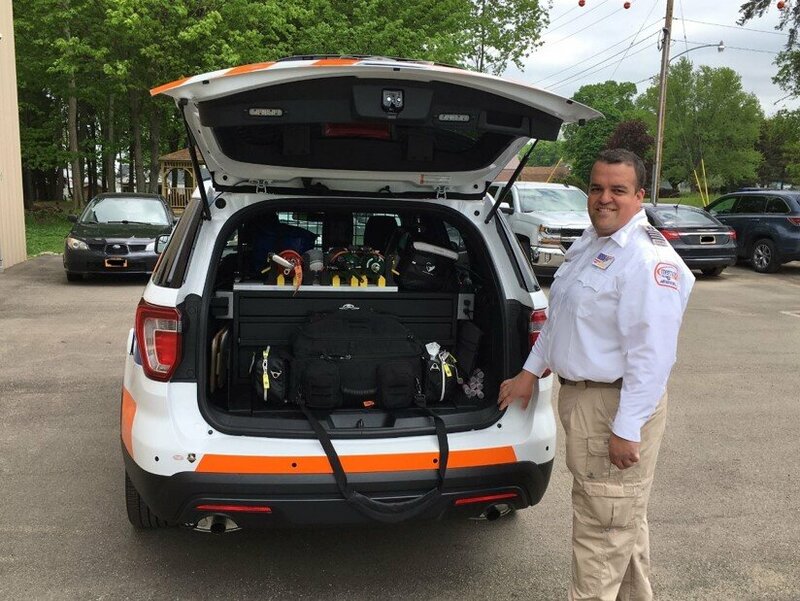 While customers are able to enjoy a double cheese, double peperoni pizza, Mercy Flight is able to provide emergency medical transport and care to those in need. Over the years, more than $14,000 has been donated, thanks to the pizza spot. “I have been committed to it for at least 13-years,” Dickey exclaims. 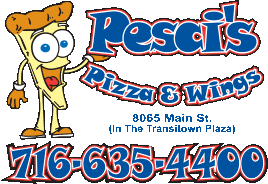 Pesci’s Pizza & Wings is located at 8065 Main Street in Williamsville. Stop on out to give it a try!